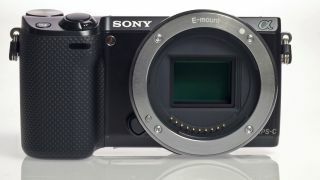 A new set of optics for Sony NEX cameras has been unveiled, to include a 16-50mm power zoom lens. This f/3.5-5.6 optic is roughly half the size of a standard 18-55mm NEX kit lens. It features Optical Steady Shot (OSS) to help prevent image blur. A lens ring can be used for manual focusing and performing other functions. In addition, a 10-18mm f/4 lens and a 35mm f/1.8 optic, both with OSS have been announced. The new lenses bring the total number of optics up to 13 in the E-mount range, along with 31 A-mount lenses which can be used with NEX cameras via an adaptor. The Sony 16-50mm power zoom lens price will be around £310 (about $500), and it will also be available as part of an NEX-6 kit. Its release date is expected in January. The Sony 10-18mm f/4 lens price is £750 (about $1,200), with a release date of November. The 35mm f/1.8 lens price is £400 (about $640), with a launch date of December. We will bring you more information on the new lens range as we have it, as information is limited at the moment.